The Viking Village Inn is a new type of house in Shroud of the Avatar. It's specially made for the upcoming Room Rental System in Release 44 (hopefully). It has 15 rent ready rooms and it's 4-story tall. The Viking Village Inn is not a craftable house. It's only available in Shroud of the Avatar's Add-On Store and getting it will cost you $100 USD. I am very interested in getting this Viking Village Inn but I don't have $100 USD to burn in the Add-On Store, unfortunately. 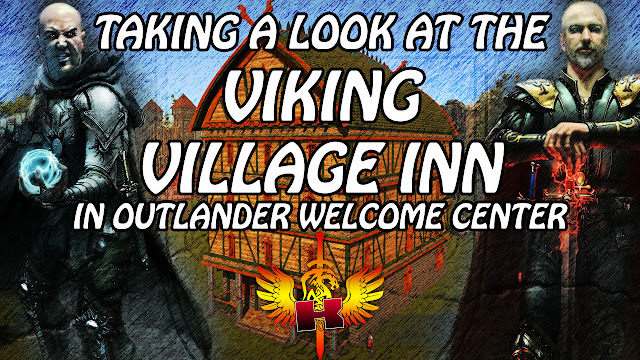 Anyway, watch the video below to see me take a look at the Viking Village Inn located in the Player Owned Town of Outlander Welcome Center.